All GREENBRIER EAST UNIT 10 V homes currently listed for sale in Scottsdale as of 04/24/2019 are shown below. You can change the search criteria at any time by pressing the 'Change Search' button below. "SOLAR!! 22 Solar panels that are OWNED! 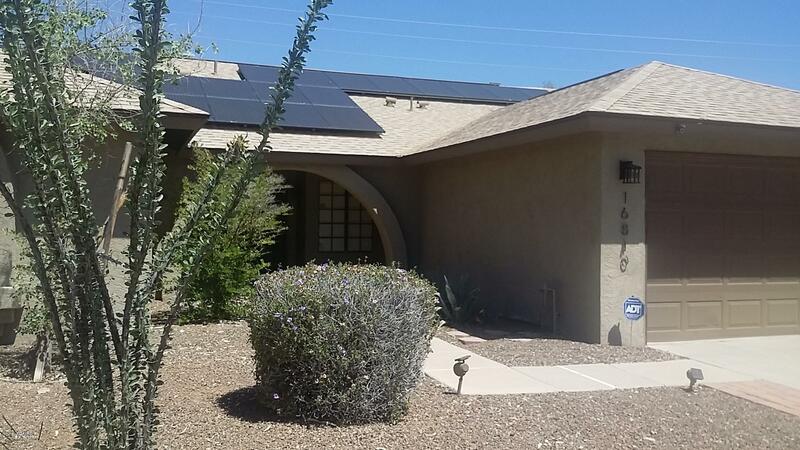 No solar lease to contend with, just LOW, LOW electric bills. Elegant appointments in this spacious home perfect for family and entertaining. First class kitchen features quality cabinets and fine granite countertops, GE Profile dishwasher and double oven, fridge and microwave. Guest bar opens to family room/living room/ dining room with lovely fireplace. Floorplan flows easily to generous patio and an oasis of a backyard. Primarily verdant desert l"